Almost all people who work in this country are covered by Social Security. In other words, they have a job where Social Security taxes are deducted from their paychecks. But about 10 percent of Americans work at jobs that are not covered by Social Security. Usually these are state and local government jobs. Why is that? Because back when Social Security laws were enacted in the 1930s, Congress felt that they could not force a federal pension plan (Social Security) on state and local governments. So they gave them the option of joining Social Security or not. Most did. But some did not. And still today, there are some large groups of employees, like teachers in some states and police officers and firefighters in other states, who do not pay into Social Security. Also, federal government employees were initially not covered by Social Security because they had their own pension system in place before Social Security came along. But all federal employees hired since 1982 pay into Social Security. However, there are still some old feds out there (hired before 1982) who are not in Social Security. Folks who spend the bulk of their careers in jobs not covered by Social Security are potentially subject to a couple of offsets that impact either their own Social Security benefit (based on Social Security-covered work they did outside of their regular job) or any benefits they potentially might be due from their spouse’s Social Security record. There always has been a great deal of confusion and an awful lot of misinformation about those offsets. If you are potentially impacted by these offsets, today’s column will help you understand them. One offset is called the “windfall elimination provision.” This is the one that impacts your own Social Security benefit. The other is called the “government pension offset,” and it reduces any spousal benefits you might be due. The key to understanding the windfall elimination provision is to realize that the word “social” in Social Security means something. Unlike private and other public sector pension plans, there are social goals built into the Social Security program. One of those goals is to raise the standard of living of lower-income workers in retirement. This is accomplished through a benefit formula that is designed to give lower-paid workers a better deal than their more highly paid counterparts. Very low-paid workers could get a Social Security benefit that represents up to 90 percent of their earnings. This percentage is known as a “replacement rate.” People with average incomes (the middle class) generally get a 40 percent replacement rate. Higher-income people get a rate around 30 percent. The problem is that people who spend the bulk of their working lives not paying into Social Security are automatically treated as low-income people by the Social Security Administration’s computers. That’s because there are “zeros” on their Social Security earnings record for every year they spent in their non-Social Security job. SSA’s records won’t show they were actually working at the other job and earning another pension. Instead, their Social Security earnings record simply shows gaps in their work history. So when figuring their Social Security retirement benefit, SSA’s computers automatically use the formula intended to compensate a lower-income person. But teachers, police officers, firefighters and other government employees generally can be classified as people with average incomes, so they should get the same Social Security replacement rate paid to all middle-class workers. That’s why a modified formula is used to refigure their benefits and give them the proper — and fair — replacement rate. If you’re an employee impacted by this law, that modified formula takes you from the 90 percent (poor person’s) replacement rate to the 40 percent (middle-class person’s) replacement rate, thus reducing estimated benefits by about half. Most career teachers and government employees generally have just barely over the qualifying 40 quarters (10 years) of Social Security covered work. But if you have 30 or more years of “substantial” Social Security earnings, the windfall provision won’t apply and your benefit will not be reduced. The other rule that so many people misunderstand is the government pension offset, or GPO. In a nutshell, that law says that an amount equal to two-thirds of a non-Social Security-covered pension must be deducted from any Social Security dependent’s benefits a person might be due. In effect, the law prevents most folks who work at jobs not covered by Social Security from collecting benefits as a wife, widow, husband, or widower from a spouse’s Social Security record. 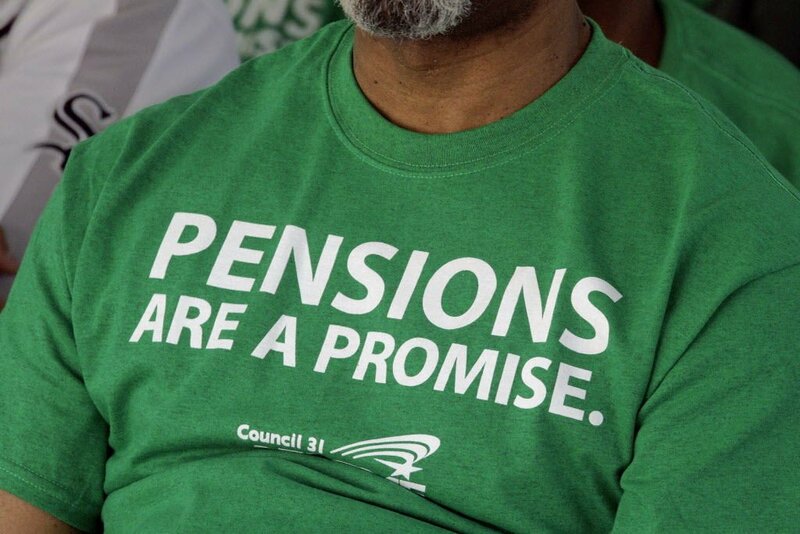 What these people don’t realize is that the government pension offset law simply treats them in the same way that all other working people have always been treated. For example, if a woman who worked at a job that was covered by Social Security gets a Social Security retirement pension, that pension has always offset any spousal benefits she might have been due. Before the GPO law went into effect, people getting a non-Social Security pension were the only working people in this country who could get their own retirement pension and a full dependent’s benefit from Social Security. And the GPO law actually gives these people a bit of a break. Social Security retirement pensions offset spousal benefits dollar for dollar. But a non-Social Security retirement pension causes only a three-for-two offset. In other words, for each $3 you get in a teacher’s or other noncovered pension, you lose only $2 from Social Security spousal benefits. Due to the space constraints of my column, this has been a very simplified explanation of a very complicated set of laws. To learn more about the government pension offset and the windfall elimination provision, send an email to me at thomas.margenau@comcast.net and ask for a free digital copy of my pension offset fact sheet. Questions and answers about an issue that causes lots of confusion. "Don't listen to your neighbors (or friends or family members for that matter) when it comes to Social Security."